Wood burning stoves are efficient and can save you thousands of dollars over conventional home heating systems. Heating your home with wood seems straightforward and simple, but it takes some familiarity to keep your stove running at peak performance. Too much wood and your stove overheats, too little and it goes out. Learning the correct way to stoke a fire is beneficial and will prevent you from wasting wood. Wood stoves are efficient and can save you money. Stack two split pieces of dry wood parallel in the bottom of the stove. Crumple five sheets of newspaper and place on top of them. 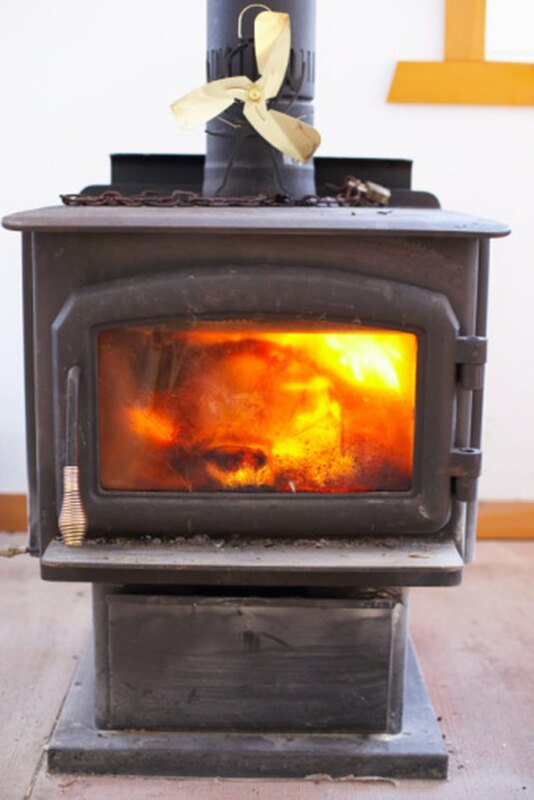 Place a handful of kindling on top of the newspaper, light the newspaper on fire and shut the door and open the vent on the front of the stove all the way. Wait 30 minutes. Lay one more piece of split firewood diagonal across the two split pieces that are on fire. Shut the door and wait one hour. Poke the red-hot coals with a fire poker. Stir them around so that they form an even bed of coals. Lay two more split pieces of firewood parallel to each other on top the coals. Close the vent on the front of the stove door until it's half way closed. Wait one hour. Place two more split pieces of wood on the coals if the split pieces are reduced to coals. If they are still in the form of a log and not broken down, leave them and check the stove again in 30 minutes. When there is a bed of coals, add more wood as before. Check every hour after that. How Do I Cool Down Fireplace Logs That Are Burning Too Hot? Does the Wood of Lilac Bushes Make Good Firewood?